Stacking the Shelves  + Introducing new reviewer! Both are sequels in series I adore and a strongly urge you to get your hands on them too! Now I would like to introduce you to our newest member on the team! A month ago, I posted a recruitment post, looking for someone to replace our dear Lili. After much thought, and chat with many of the applicants, our choice settled on Helen! I’d like to invite you to read her About me post and welcome her on board! She will start with a bang this Thursday with a review and her first Daring You To Read post, so don’t miss out! Your books look intriguing this week. Oh and welcome Helen! Welcome Helen! Hot blooded was awesome, happy reading! Those look good! :D I'll check them out. Good you wont be disappointed! Oath Bound looks great. I love that cover! I've been wanting to read Rachel's YA series. I really enjoyed her Shifters series, so I know I'm a fan of her writing. I hadn't seen Rachel Vincent's new series. I'll have to check it out. Welcome, Helen! Its a trilogy and its all out so you wont have to wait! Ooh, both of those books have gorgeous covers! I still need to start reading both of those series. Hope you enjoy them. You definitely should :) Happy reading! I really need to read that series by Rachel Vincent. I have the first two books but have never even cracked them open! I really should remedy that soon. oooo love rachel vin cents Bound books! Hope you enjoy it! Ooh! Oath Bound looks good! 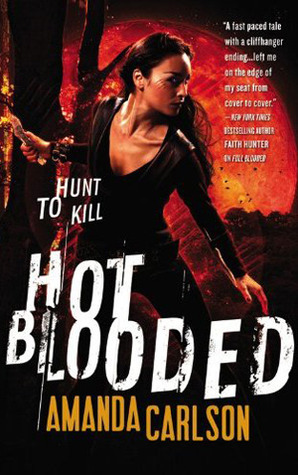 Look forward to reading Hot Blooded. I need to get Oath Bound. I still haven't read Shadow Bound, but I loved the first one and I have the second one. Hope you enjoy your books!! I enjoyed Hot Blooded, but not as much as Full Blooded. It was still awesome and I only had one minor hangup about it that most other readers had too. 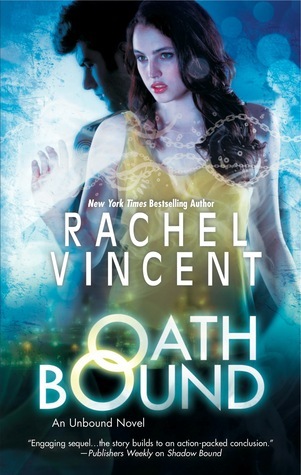 Still need to read Oath Bound myself but looking forward to it as well! Hope you enjoy both your new reads! Great STS! Both books look pretty interesting! Nice haul. I wanna read that Rachel Vincent series. I haven't heard of either of those books but I hope you enjoy everything! Welcome Helen!! I look forward to reading your posts! What a great meme and a great site Tynga! I'm a new follower and now #203 on the linky list. I haven't started Vincent's newest series because I have started a gazillion series and refuse to start another one until I finish everything up...which is a total lie. I actually have only read the first of her Shifters series too but the rest are totally on my shelves waiting for me to dust them off. I read a lot of romance (of every genre) and mysteries, a little YA and a bit of horror. Looking forward to reading all y'alls reviews.